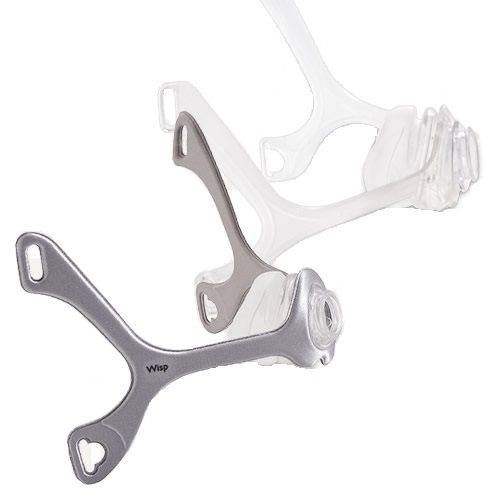 The Wisp Nasal Mask from Philips Respironics changes the game by offering two choices of frame styles. Select Fabric Frame for a softer touch or Clear Silicone Frame for a more traditional feel. The Wisp comes packaged with all three sizes of cushions (Small/Medium, Large, and Extra Large) allowing the user to find the best fit and seal. The lightweight frame, headgear, and cushion design creates limited facial contact and no forehead support needed. This is the Wisp Nasal Mask without headgear. Headgear is available here. 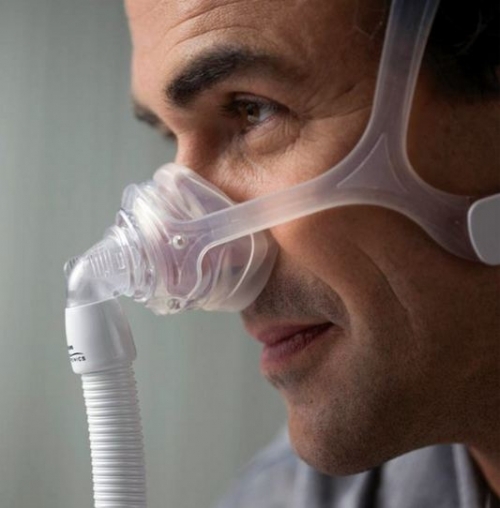 The Wisp Nasal Mask from Philips Respironics changes the game by offering two choices of frame styles. Select Fabric Frame for a softer touch or Clear Silicone Frame for a more traditional feel. The Wisp comes packaged with all three sizes of cushions allowing the user to find the best fit and seal. The lightweight frame, headgear, and cushion design creates limited facial contact and no forehead support needed. 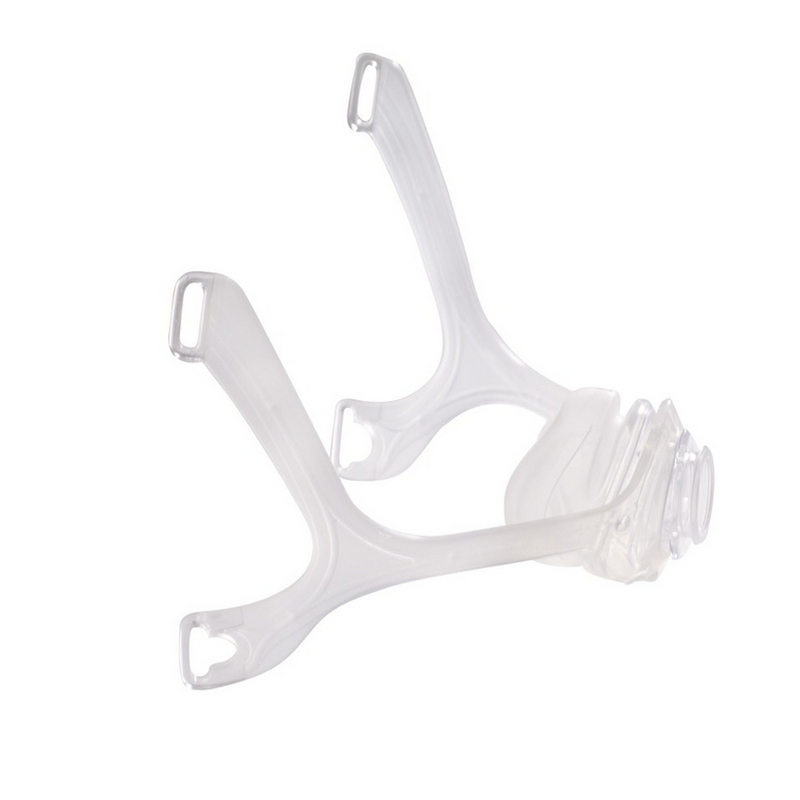 The unique frame of the Wisp is offered in two formats - Clear Silicone or Fabric. The silicone is less visable and doesn’t draw attention to the face, it's translucent and looks smaller. The fabric frame feels softer and more pliable, gets you closer to the feeling of your pillow The modular frames are interchangeable and reversible. The Wisp cushion is small and lightweight with a minimum of silicone touching the face. No need to wonder if another size of cushion would seal better. All three sizes of cushions are included with the Wisp. It comes packaged with the size Small/Medium cushion in place and can easily be changed with the Large or Extra Large cushion. The headgear and frame design is the source of support and seal for the Wisp omitting the need for a forehead support. Having nothing on the forehead makes and the clear field of view for a more comfortable therapy experience.